Fibroscan (ultrasound-based transient elastography) is a safe, accessible, inexpensive and non-invasive technology used to assess liver fibrosis (scarring). 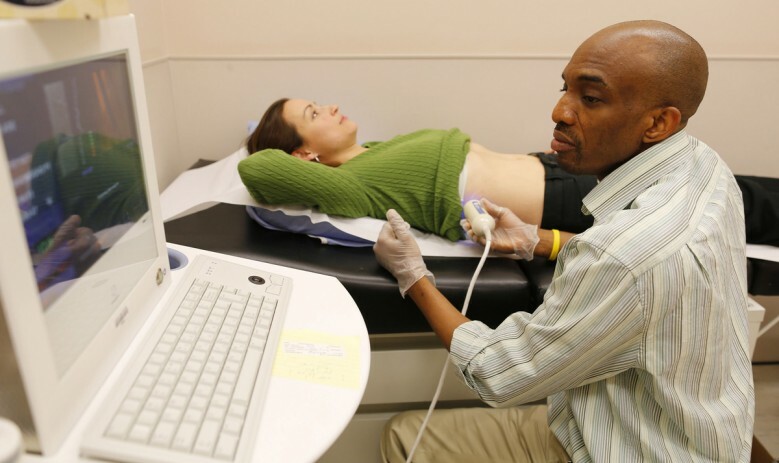 An ultrasound probe is used to pulse the liver with low frequency sound waves (50mHz). The velocity (speed) of the wave travels through the liver reflects the ‘stiffness’ or scarring present. It is an accurate test for detecting fibrosis and even scarring of the liver (cirrhosis) and may be used to monitor patients with known fibrosis to predict complications associated with significant liver disease. It is a standard component of the general liver assessment in most of the University of Calgary Liver clinics.